Knotty problem for travelers solved at last" ran the headline of an article published in The New York Times on September 15, 1907. The article discussed the proper approach to tipping while travelling around the world. Five top global hotels were mentioned in the introduction, among them the Taj Mahal Palace in Bombay (now Mumbai). The others named were in Cairo, Mandalay, Bangkok, and Colombo. Just four years after the Taj opened its doors, it was up there among the best in the world. Remarkably, The New York Times writer chose to mention the upstart over older hotels in the city. There are many stories about why Tata Group founder, Jamsetji Nusserwanji Tata, built the Mumbai Taj, the first property set up by the Indian Hotels Company, which he started. One story goes that it was because Tata suffered the personal humiliation of being turned away from a Mumbai institution, identified variously as Watson's Hotel, or The Majestic, or the Royal Bombay Yacht Club - that in those days served whites only. But according to Raymond Bickson, Managing Director of the Taj, the impetus was a newspaper editor's complaint to Tata that there were no good hotels in Bombay. If Indian Hotels was born of a clash of values or taste, the company has seen conflicts of a different kind in its later years. Among these was the struggle of former chairman Ajit Kerkar, appointed by J.R.D. Tata in 1989, to turn the company into a global empire, by raising money at a time when the Tatas were not interested. Then came the battle between him and Ratan Tata for control of the company, which Tata eventually won. And in 2008, the world looked on aghast as the army, police, and hotel staff struggled to free the Taj from terrorists following the attack on November 26. During the siege, the hotel's general manager, Karambir Kang, helped guests out of the building even as his own family remained trapped and perished in their living quarters on the top floor. 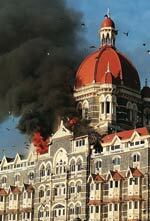 The Taj is damaged in the Mumbai terrorist attacks on Nov 26, 2008. Not many are aware that the other hotel to be attacked by terrorists on 26/11, the Oberoi, had its own little run-in with the Taj in the 1970s. In June1974, owner M.S. 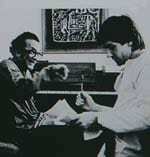 Oberoi wrote to J.R.D. Tata, complaining that Air India was giving the Taj an undue share of its business, at the cost of the Oberoi-Sheraton at Nariman Point. At the time, J.R.D. Tata was chairman of both Air India and Indian Hotels. He took his time to reply, but when he did, he reminded Oberoi that his hotel was only two years old, and the Taj was 70. Tata, wearing his Air India hat, also reminded Oberoi that tourists flown in by the national airline were not charged extra by the Taj if they turned up before the noon check-in time, while the Oberoi-Sheraton, by contrast, billed half-rate. He ended the letter by saying: "As chairman of Indian Hotels, I have deliberately kept right out of any allocation of business as between hotels, and have left it entirely to the management." Under Ratan Tata, Indian Hotels has become truly global. It has a Hawaiian, Bickson, at the helm, and has been picking up prestigious properties, such as The Pierre in New York and the Ritz-Carlton in Boston. It has also ventured into other categories, with the Ginger budget hotel chain, and the four- and fivestar chains, Gateway and Vivanta by Taj. The group has a presence worldwide, and recently entered China. It is currently in the middle of a Rs 960-crore expansion programme announced last year. But there have been setbacks too, chief among them the group's failure to acquire Orient Express, the American luxury hotel chain. The Tatas picked up a 10 per cent stake in the company in 2006, but Orient Express rebuffed the group's approach to collaborate, and created its own defence mechanism in the form of a convoluted corporate holding structure that forced the Tatas to exit the company a year later. The Orient Express management even said that associating its brands with the "predominantly domestic" Indian chain would lead to an erosion of its "brand and business value".